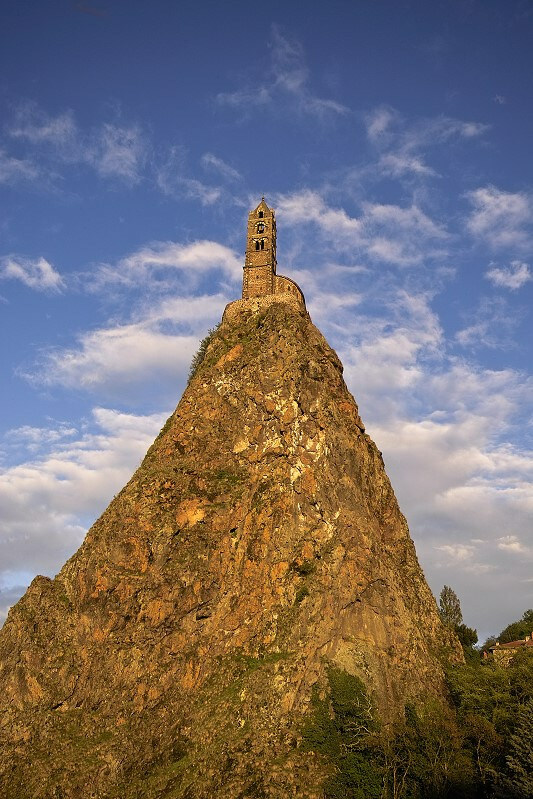 Saint-Michel d’Aiguilhe chapel in Aiguilhe, near Le Puy-en-Velay, France, is the 4th best monument in the country, according to the French. 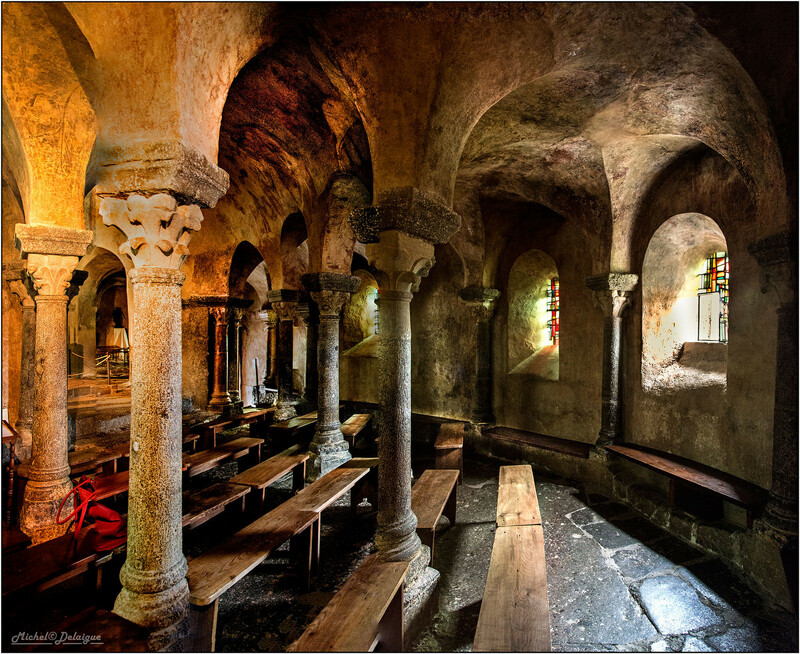 The chapel’s amazing location attracts pilgrims and tourists from all over the world. 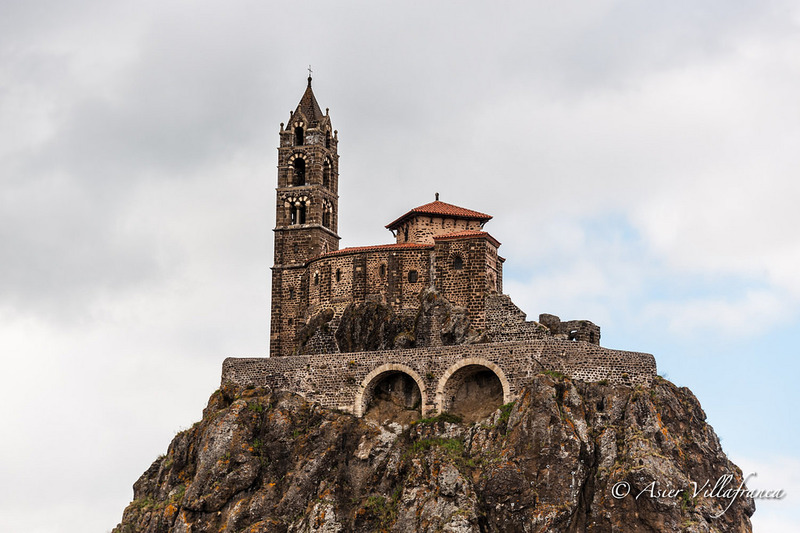 Saint-Michel d’Aiguilhe is translated as St.Michael on a needle. 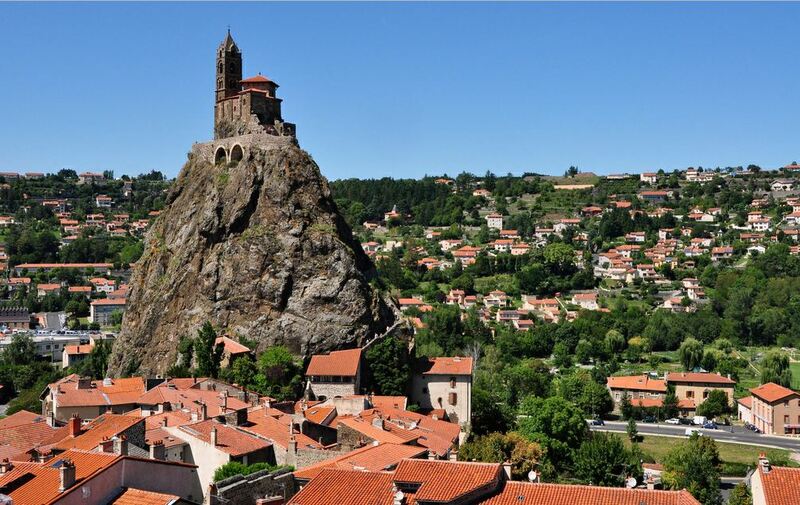 Rock formation resembling a needle, gave the name to the chapel. 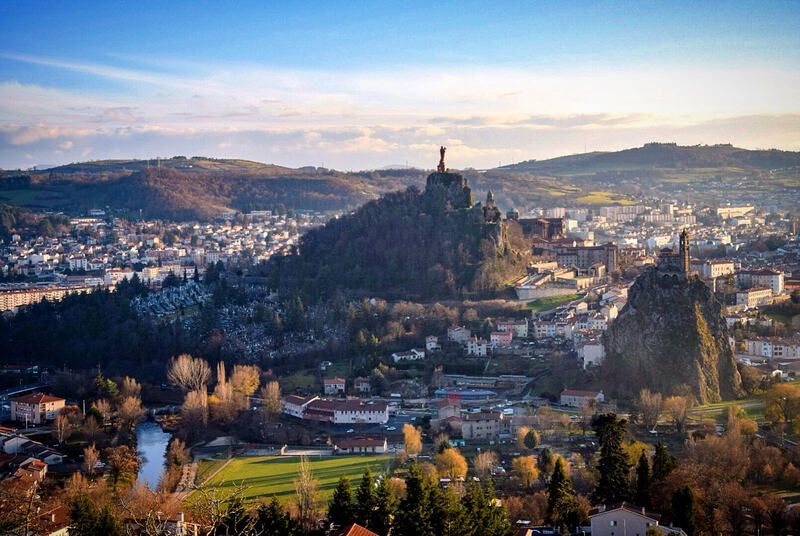 As other high peak places throughout the world, this one is considered to be mysterious and sacred. Because of this, there are some speculations, that the place was a place of worship long before the Christian chapel was built. 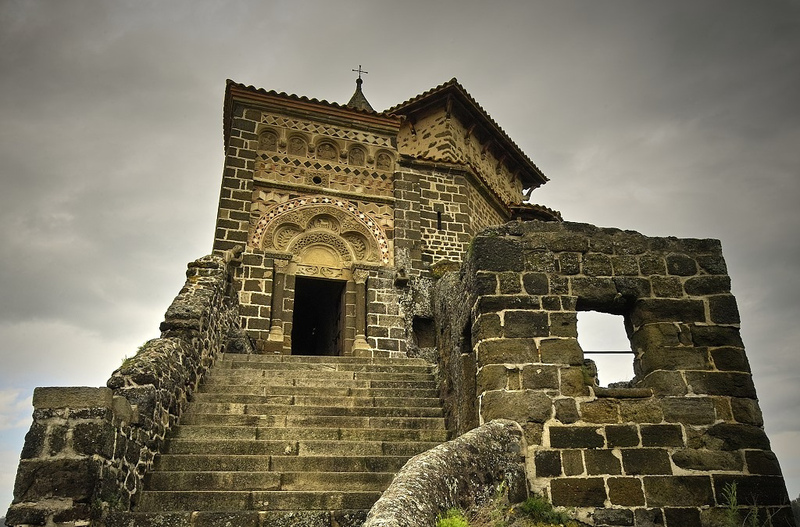 The chapel dedicated to the Archangel Michael, was built on an extinct volcano in 969 AD. 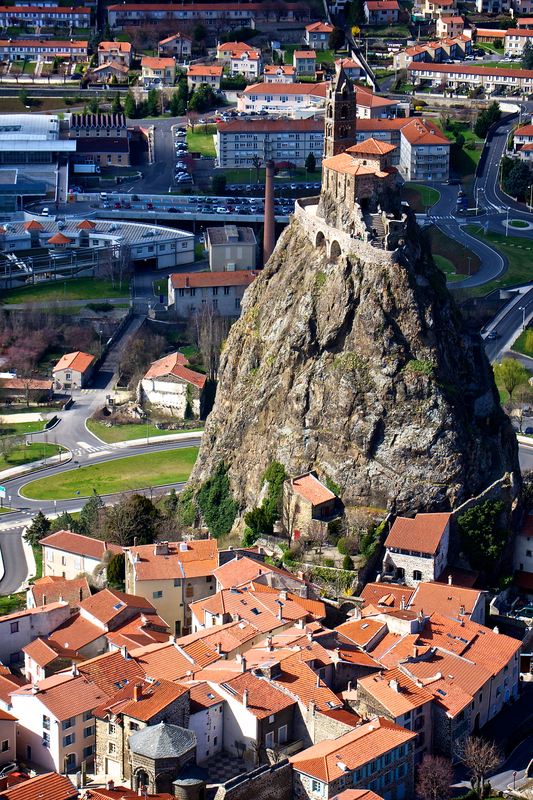 It rises at 279 feet high and offers breathtaking panoramic view. 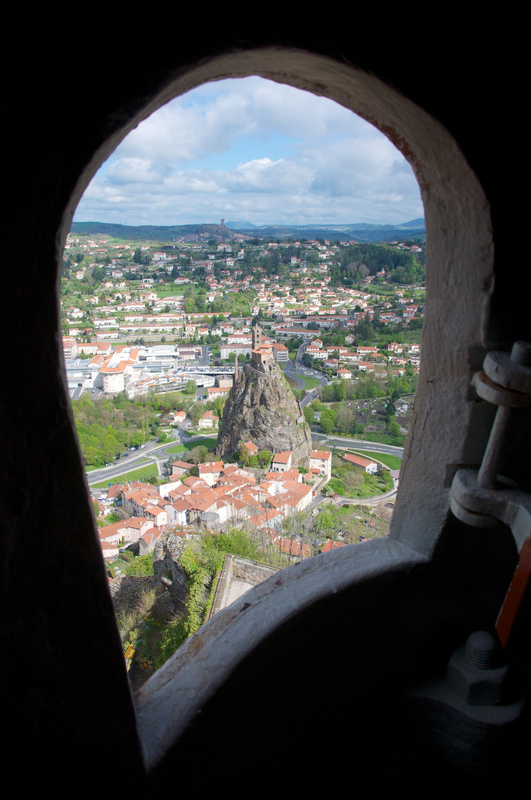 268 steps lead to the chapel, but they are not as difficult to climb as it seems. The steps are wide and there are benches to rest along the way. The view from the top is spectacular. 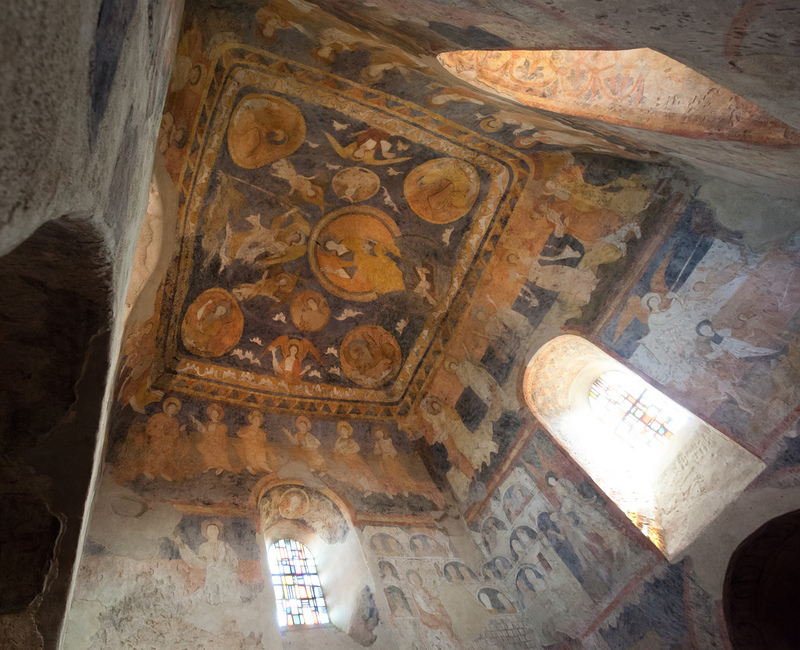 The chapel’s masonry work is impressive, as well as beautiful fresco murals and stained glass. 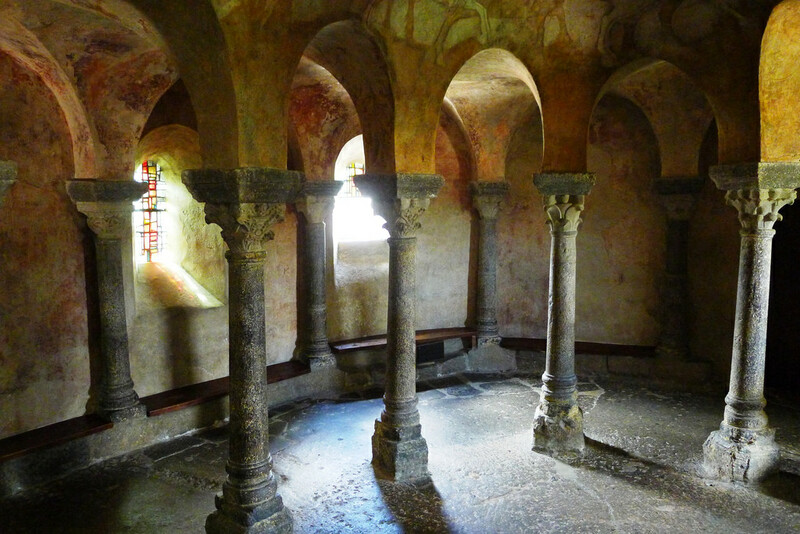 Inside the chapel is peaceful and calming atmosphere, that can be used to meditate, pray or reflect on life. 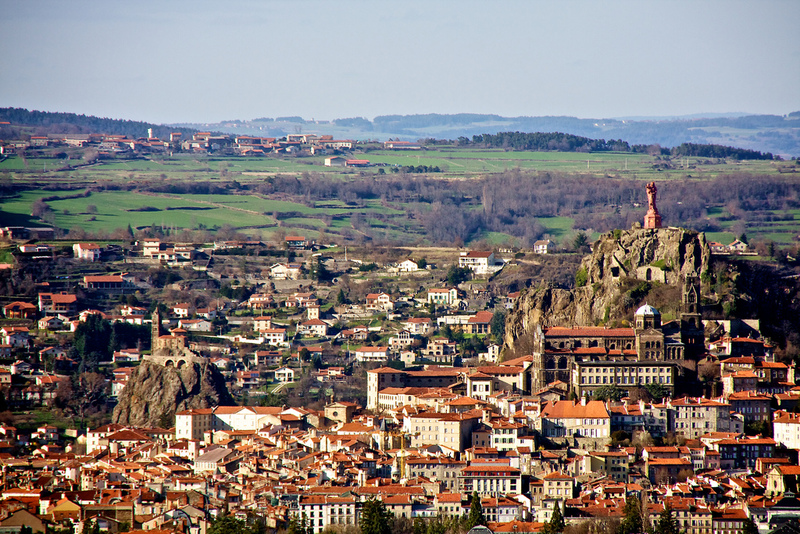 The main sights of Le Puy-en-Velay from the Chapel of Saint Michel d’Aiguilhe, The Cathedral and the Virgin Mary Statue.